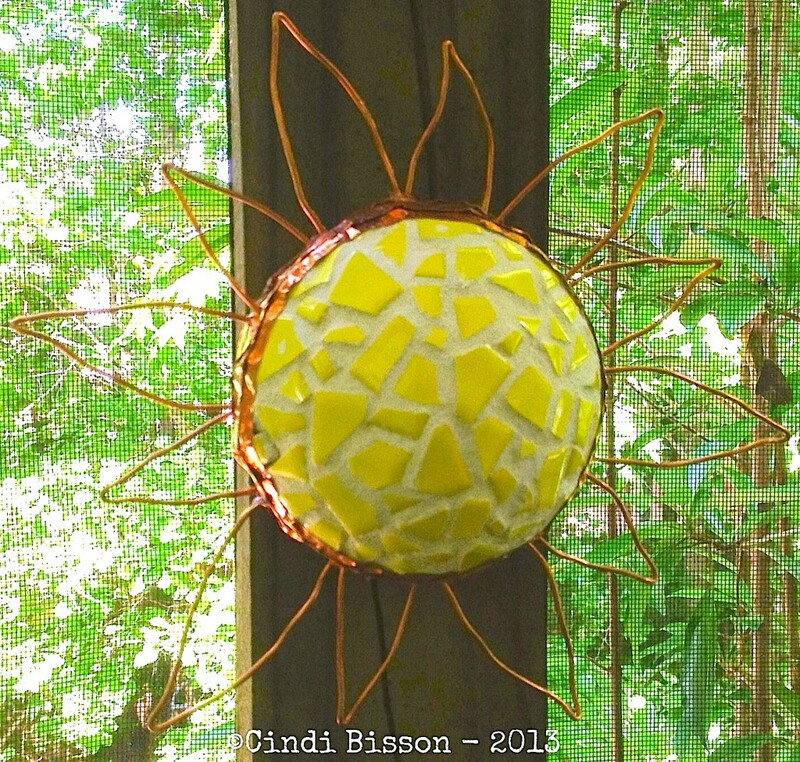 For this mosaic sun sculpture, a Smoothfoam ball is the perfect lightweight base for a ceramic tile mosaic. Increase the size of the ball for a even larger pop of sunshine on your porch. Learn how to make this summer craft project below. 1. Cut the Smoothfoam ball in half – start with the craft knife and finish the cut with a serrated knife. 2. Sand the flat side of the ball half to make it smoother. 3. Break the yellow mosaic tiles into randomly-sized pieces with the hammer. 4. Hot-glue the tile pieces to the ball, leaving about 1/2” uncovered around the outer edge. 5. Apply tile grout following manufacturer’s instructions and let dry. 6. Cut the copper wire into desired lengths and bend to form rays of the sun. Insert the wire rays all around the perimeter of the sun. 7. Hot-glue strips of copper tape around the perimeter, above and below where the wire rays are inserted. 8. Adhere a removable mounting strip to the back for hanging. This entry was posted in Home Décor Crafts, Special Techniques and tagged Ball, Garden, Yellow by Cindi McGee. Bookmark the permalink.